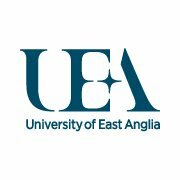 The University of East Anglia is a research-intensive public university located in the city of Norwich, England. Established in 1963, today the university comprises 4 faculties and 28 schools of study. Effective Questioning for Call Handlers via FutureLearn 3 hours a week , 3 weeks long 3 hours a week , 3 weeks long 29th Apr, 2019 No reviews yet. Human Factors in a Healthcare Environment via FutureLearn 3 hours a week , 3 weeks long 3 hours a week , 3 weeks long 29th Apr, 2019 No reviews yet. Introduction to Emergency Contraception via FutureLearn 3 hours a week , 3 weeks long 3 hours a week , 3 weeks long 6th May, 2019 No reviews yet. Managing Change in a Healthcare Environment via FutureLearn 3 hours a week , 3 weeks long 3 hours a week , 3 weeks long 6th May, 2019 No reviews yet. The Role of Personal Assistants in Disability Support via FutureLearn 2 hours a week , 3 weeks long 2 hours a week , 3 weeks long 15th Apr, 2019 No reviews yet. Clinical Supervision: Assessing and Providing Feedback via FutureLearn 3 hours a week , 3 weeks long 3 hours a week , 3 weeks long 15th Apr, 2019 No reviews yet. Medicine Administration for Carers via FutureLearn 2 hours a week , 3 weeks long 2 hours a week , 3 weeks long 1st Apr, 2019 No reviews yet. 22nd Sep, 2014 No reviews yet. Teaching Computing: Part 2 via FutureLearn 4 weeks long 4 weeks long 17th Nov, 2014 No reviews yet. 13th Aug, 2018 No reviews yet. Using Personalized Medicine and Pharmacogenetics via FutureLearn 3 hours a week , 3 weeks long 3 hours a week , 3 weeks long 25th Mar, 2019 No reviews yet. Clinical Supervision: Teaching and Facilitating Learning via FutureLearn 3 hours a week , 3 weeks long 3 hours a week , 3 weeks long 25th Mar, 2019 No reviews yet.